Do you want the best website experience? Our website uses functional, analytical and tracking cookies to provide you with the best website experience and relevant advertisements. By clicking on 'accept', you agree to these cookies. More information. Orders placed on workdays before 11 P.M. are shipped the same day! The Clark briefs have a casual style, a good finish and are of excellent quality. Because they are made of bamboo they have enough stretch that makes for a superior fit. 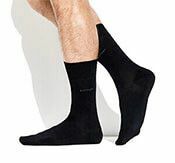 In addition, they provide breathable comfort throughout the day. The briefs do not have a fly. 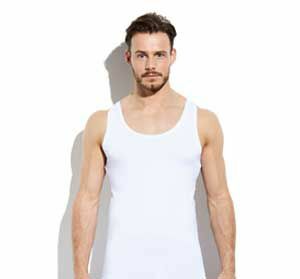 The model is 1.85m tall and wears size L.
Our bamboo basics have the same sizes as most other brands. So you can use the size you usually have. 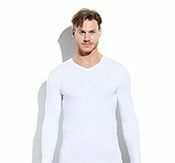 Length of the shirts: All our shirts are longer than normal shirts. This makes them suitable for taller men. An ideal length for base layers as your undershirt stays tucked into your trousers more easily. 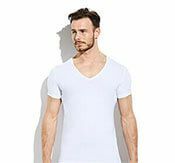 Neck measurement: Measure the total circumference of the neck using a current T-shirt in your wardrobe. Chest measurement: Measure the circumference of your chest at the widest point of your chest. Measure waist: Measure the total circumference where you would want the elastic band. my husband says these are very nice briefs. he can't wait until they are offered in black. Approved! I would also like to see black ones. The underwear is very comfortable. Received a pre-order a few weeks ago. Received yesterday and I can tell you: it was worth the wait! The briefs look great in the pictures. Am very curious how they fit. First of all thanks that I have been able to test your new briefs because of my suggestion. Nice that you guys really listen to your customers. The briefs are truly fantastic.